Apps make the Apple Watch powerful. 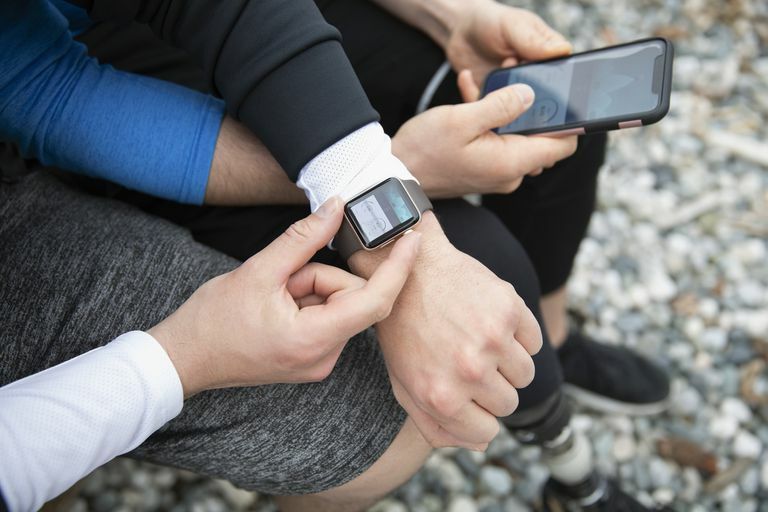 The Apple Watch’s built-in fitness tracking and notification features are useful, but apps enhance and unlock the possibilities of the Apple Watch in the same way that they let the iPhone do so much more than just what its pre-installed apps allow. But, unlike the iPhone, there’s no App Store available on the Apple Watch. So how do you download apps on Apple Watch? These instructions use watchOS 5, but they apply to all versions of watchOS and all Apple Watch models. Some older versions might have slightly different menu names or options, but these basic guidelines work for all users. The key to adding apps to your Apple Watch isn’t on the device itself. It’s on the iPhone paired to the Watch. That’s because Apple Watch apps don’t exist as standalone apps. Instead, they’re more like mini-apps that come to your Watch after you install the full version on your iPhone. Any iPhone app that offers an Apple Watch version is automatically available on your Apple Watch after installation on the iPhone. There are two ways to know if an iPhone app has an Apple Watch version. First, the App Store page for the app includes this information. Second, you can search the Apple Watch App Store (see below). Make sure your Apple Watch is paired to an iPhone and they’re near each other. On the iPhone, tap the Watch app to launch it. Tap the My Watch tab at the bottom if it’s not already selected. Scroll to the very bottom of the screen, to the Available Apps section. This lists all of your iPhone apps that have Apple Watch apps you haven’t installed. Tap Install next to any app you want to install on your Watch. When the app finishes installing, it appears on your Watch and moves to the Installed on Apple Watch section of the Watch app. While there is no App Store on the Apple Watch itself, there is one built into the Watch app on the iPhone. This isn’t a new app store; it’s more like a focused selection of the iPhone App Store, showing only apps with Apple Watch versions. Just open the Watch app on the iPhone, then tap the App Store tab to access it. Follow the first three steps from the previous section. In the Installed on Apple Watch section, find the app you want to remove. Tap it. Move the Show App on Apple Watch slider to off/white and the app will be deleted from your Watch. The app stays on your iPhone (unless you delete the iPhone app, too). It can be downloaded to the Apple Watch again using the steps from the last section of this article. Make sure your Watch is paired to, and nearby, an iPhone. Tap App Layout (on the My Watch tab). This shows the app grid you see on the Watch. Drag app icons to your preferred new arrangement. When you’re done, tap My Watch in the top left corner. The new arrangement is saved and applied automatically. If you prefer a list view of apps (sorted alphabetically), just push down on the watch's screen when the Grid View is diplayed. A pop-up will appear asking you if you want Grid View or List View. Tap Dock (on the My Watch tab). Tap Recents (to see recently used apps, ordered from the most recently to least recently used apps) or Favorites. If you tap Favorites, new options appear. Your Favorite apps are listed in one section, with all other available apps in another. Tap the red – icon to remove an app from Favorites. Tap the green + to add an app to Favorites. Drag and drop using the three-line icon to re-arrange apps. Tap Done to save your Favorites.